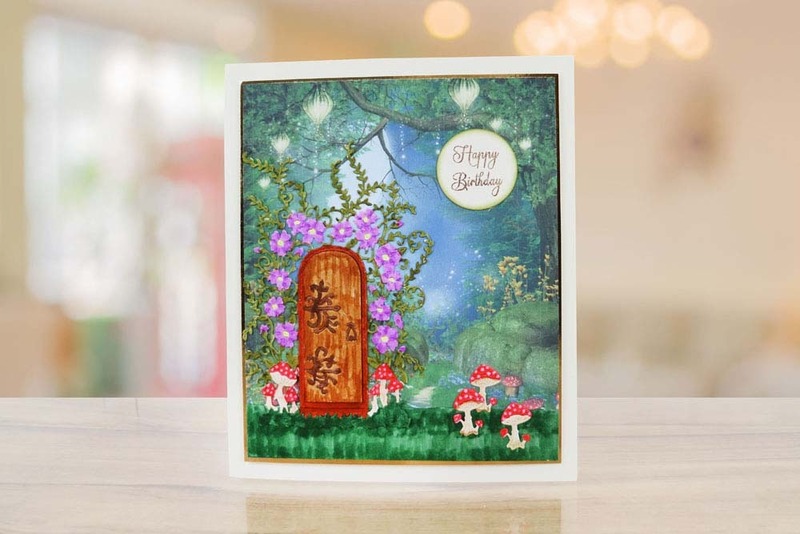 This whimsical and fun collection of designs gives your creativity the chance to play with the softness of fairies, the strength of the wolf and the mystery of the unicorn. 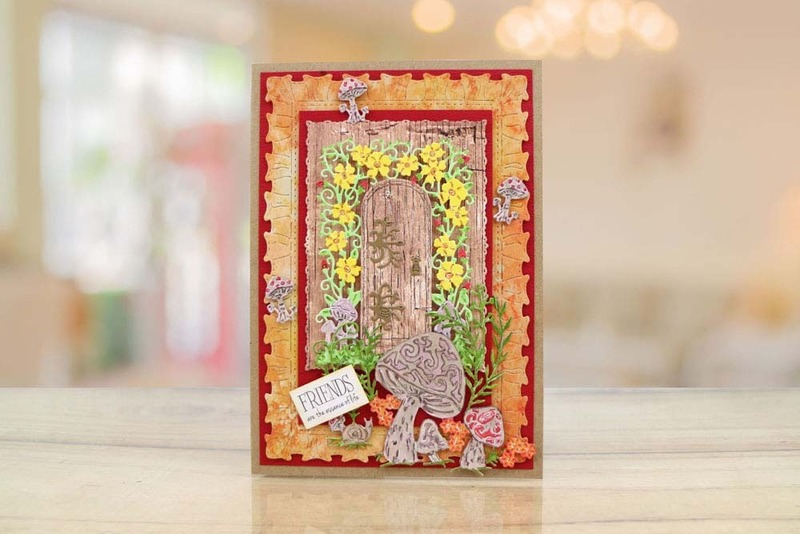 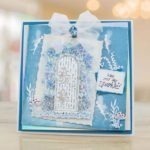 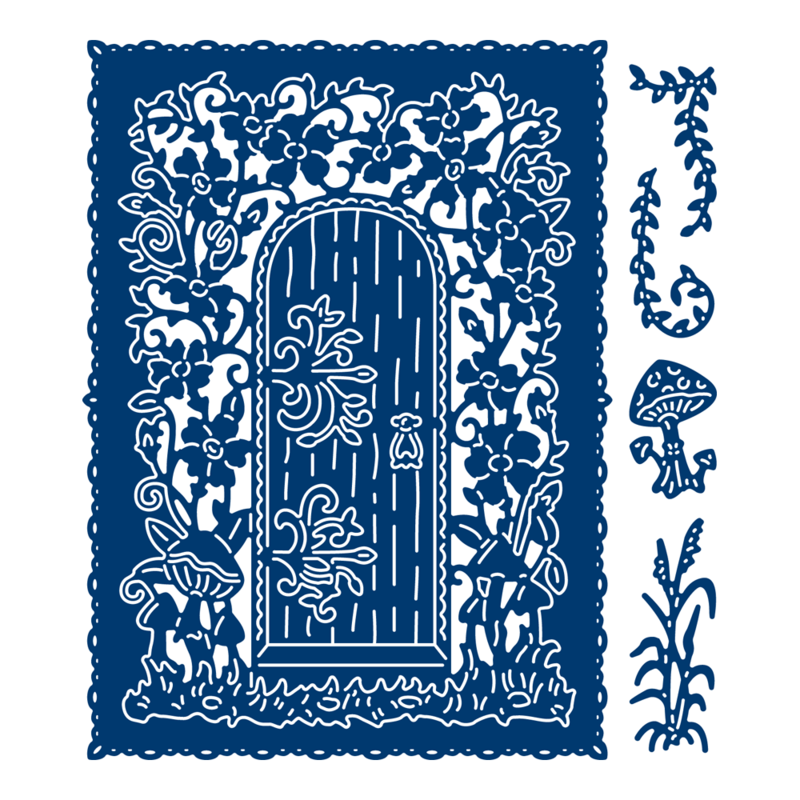 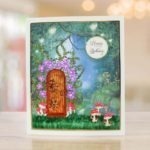 The Tattered Lace Fairy Door is an incredibly detailed and super cute fairy door it features delicately flourished hinges, woodgrain detail and floral arch framing the door to the fairy glen. 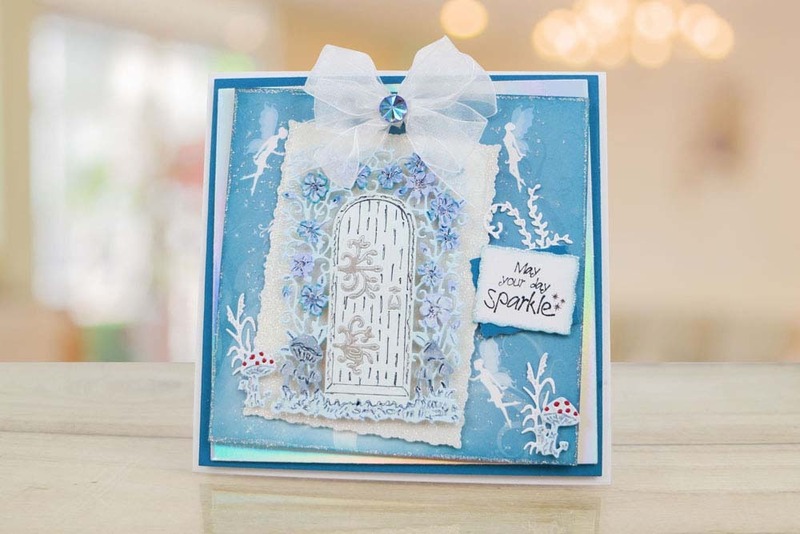 Use the mini dies that come with this design to cut multiple times and use at the bottom of your card fronts.